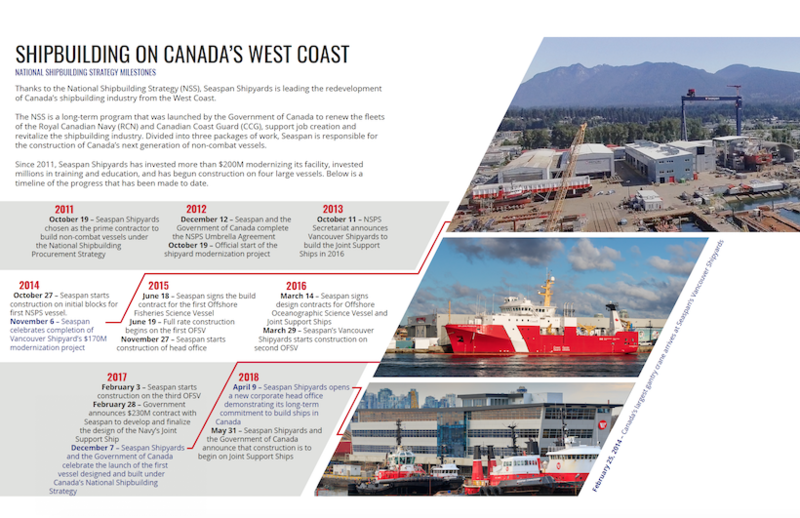 Thanks to the National Shipbuilding Strategy (NSS), Seaspan Shipyards is leading the redevelopment of Canada’s shipbuilding industry from the West Coast. 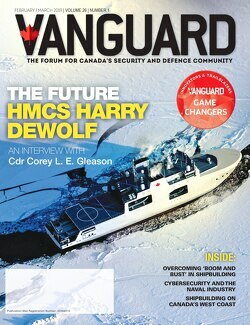 The NSS is a long-term program that was launched by the Government of Canada to renew the fleets of the Royal Canadian Navy (RCN) and Canadian Coast Guard (CCG), support job creation and revitalize the shipbuilding industry. Divided into three packages of work, Seaspan is responsible for the construction of Canada’s next generation of non-combat vessels. Since 2011, Seaspan Shipyards has invested more than $200M modernizing its facility, invested millions in training and education, and has begun construction on four large vessels. Below is a timeline of the progress that has been made to date.